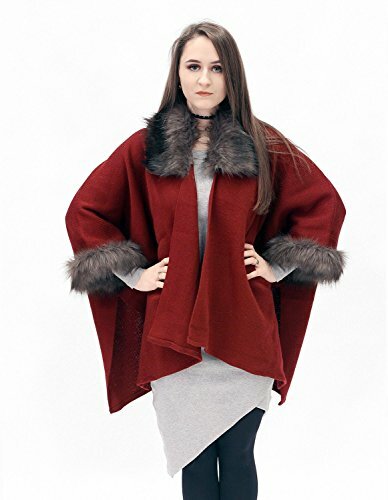 This red and dark brown luxurious soft half-woolen cardigan is beautifully handmade with love and warm wishes to whoever wears it by designer Lijana Ivanickiene. Made of dense pleasant fabric. 50% wool, 50% acrylic. Faux Fur with long fluff. Fits 6 to 22 US / 36 to 52 EU sizes. Length is 69 cm / 27.17" For bigger sizes we can create custom longer version. If you have any questions about this product by ScarecrowStudio, contact us by completing and submitting the form below. If you are looking for a specif part number, please include it with your message.